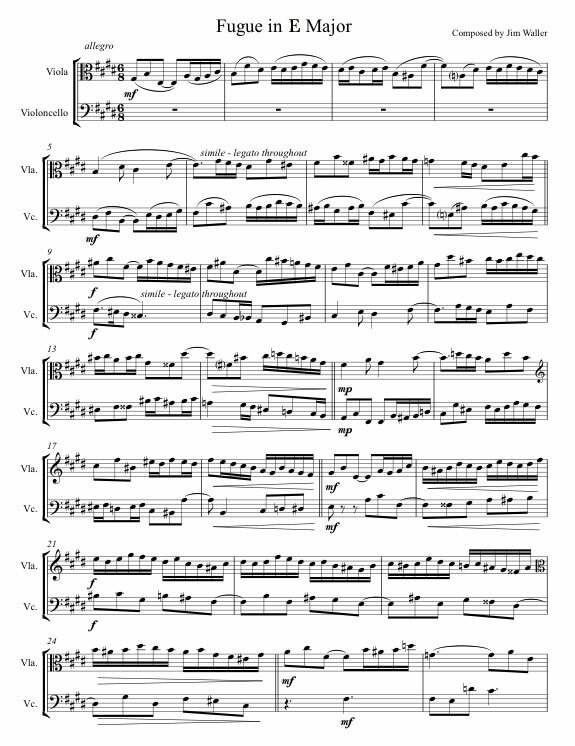 The first score example is a two voice fugue I wrote for viola and cello, to see the second page, download the .pdf file of the complete score. To hear an mp3 file of the fugue, click here. The second score example is a piece for flute with piano accompaniment. 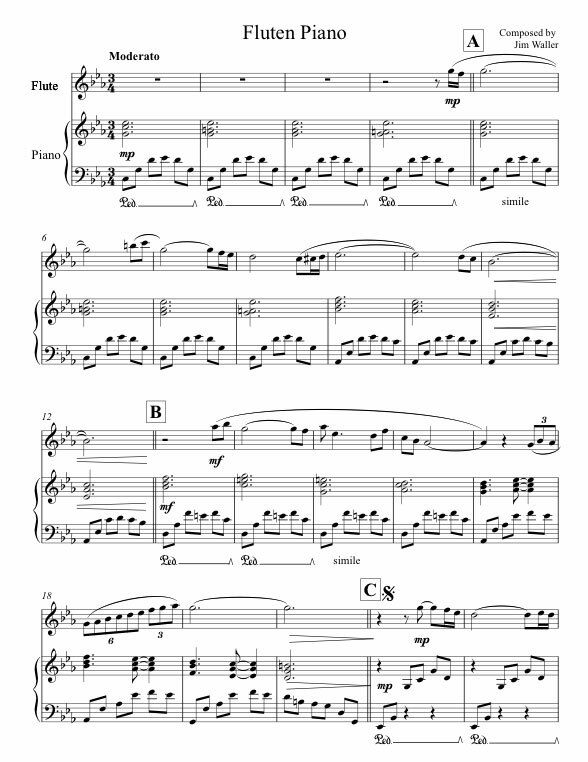 The 3 page score can be downloaded by clicking here. To here the mp3 file, click here. 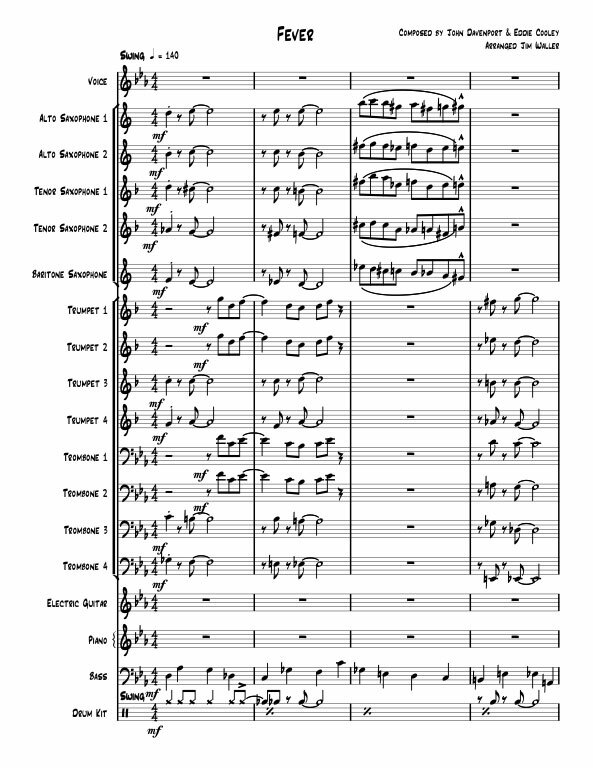 The third score example is my arrangement of the jazz classic "Fever" for standard size "big band" witrh eight brass, five saxes, and four rhythm. For the full score, click here. To see a Quicktime video of the University of the Incarnate Word Jazz Ensemble performing it, click on either the hi-res or low-res version. You must have the latest version of QuickTime which is 7.1.5.